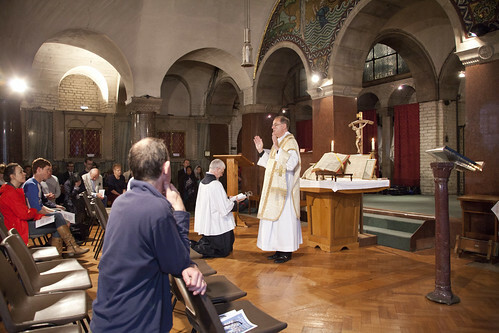 Low Mass in Westminster Cathedral crypt, celebrated by Fr Martin Edwards. I'm simultaneously publishing a post about the pilgrimage on Rorate Caeli here; so in this post I can focus a bit more on the British Chapter, and our experiences. 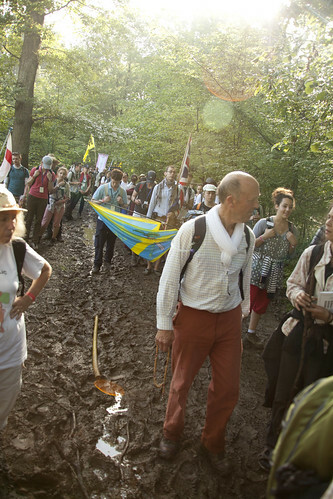 Numbers were good this year, with many young people, many of them doing the pilgrimage for the first time. Not all were put off for life! On the contrary: see this blog post from one of them, and another from a chapter leader. Serious mud on the forest paths after rain. The weather was a trial. The weather forecasts kept postponing the thunderstorms which would eventually dispel the humidity; in the meantime, a few showers only added to it, and we enjoyed spectacular displays of 'dry lightning'. There was enough rain to turn the forest paths into mud slides, but not enough to stop the broiling heat. This was my third pilgrimage, and I was mortified to suffer exactly the same problems (happily less severely) as on my first, another hot year, notably sun stroke. As then, I dropped out after Mass and lunch on day two feeling pretty rough, but was sufficiently recovered to walk the final half-day. 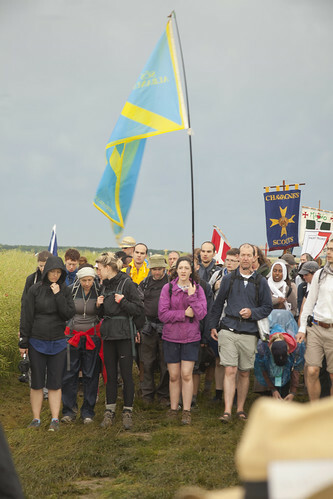 The two chapters from the UK - under the names of Our Lady of Walsingham and St Alban - were joined by the three-strong Danish chapter (links are to photos), and followed by the chapter of schoolboys from Chavagnes College (see above), with their chaplain Fr Bede Rowe. These were followed by the Scottish Chapter, under their banner of 'Bonnie Prince Jesus'. Not far away was the American chapter; we camped next to the Irish chapter; I also spotted the chapter from Canada. 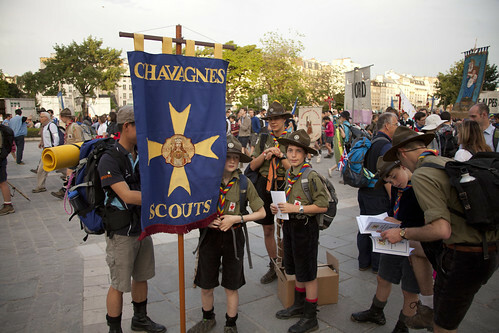 The non-French chapters aren't a big portion of the whole pilgrimage, but it is very good to see them supporting this event. I noticed chapters from Germany (complete with two guitars), Switzerland, and Poland; I met the Una Voce Delft leader from the Netherlands, whose family was walking with the Belgian chapter, and a delightful young lady who had founded the Traditional Latin Mass Society of Malaysia. 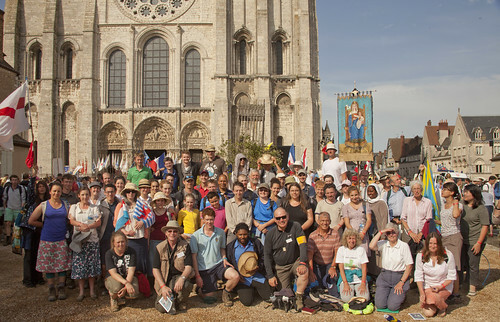 English-speakers wanting to join the pilgrimage are very welcome to sign up with the UK chapter, see their blog here. 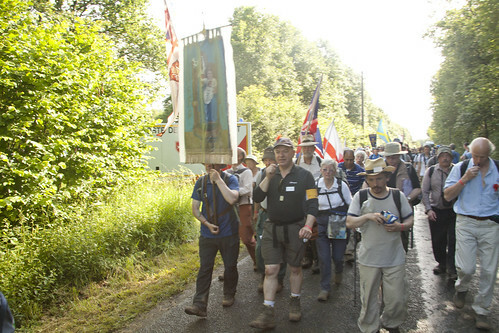 Our Lady of Walsingham chapter, with James Bogle at the front. The Latin Mass Society supports the British chapters by sponsoring ten places for young people - we pay half the cost. It is extremely good value in any case. Cost shouldn't be an issue for anyone who can make the dates. The UK Chapters are very well supplied with priests: we had two priests for each of our two chapters, plus Fr Bede looking after the Chavagnes chapter behind us. Most chapters don't have a priest with them, but priests (and lots of seminarians) are assigned to make themselves available to blocks of chapters; among these I met Fr Rupert Allen OPraem (wearing a saturno, which he'd found somewhere), of the Chelmsford Norbertines but currently on loan to the international Norbertine house in Brussels, and the indefatigable Fr Armand de Malleray FSSP. Among the many FSSP and ICKSP seminarians I met was the Rev James Mawdsley FSSP, who is at the Wigratsbad seminary and a regular at the Walsingham pilgrimage. 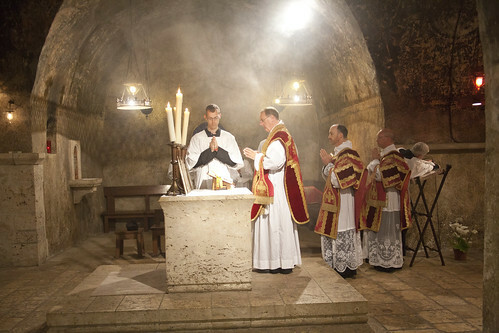 In addition to the two and half days of walking, the UK chapters have Low Mass before we leave England, in the Crypt of Westminster Cathedral, at 7am. This is celebrated by Fr Martin Edwards, the National Chaplain of the English chapters, but Fr Alexander Redman and Fr Gerard Byrne also take the opportunity to say private Masses on other altars in the crypt (I ended up serving the latter). At the end of the official pilgrimage we stay the night in Chartres and have a Mass in the crypt of Chartres Cathedral, in the shrine of Our Lady 'sous terre', 'underground'. This is a High Mass, celebrated by Fr Edwards with Fr Mark Withoos, who had walked with us, as deacon, and Fr Bede Rowe as subdeacon; Fr Redman and Fr Byrne were in choir. The British Isles can be pretty proud of providing five chapters, if we include the ex patriots of Chavagnes, the Irish and the Scots. As I've discussed at more length on Rorate Caeli, this is an event of incomparable importance for the Church. 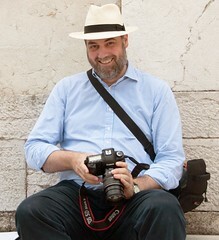 Tomorrow I'm posting more on the history of the shrine and the pilgrimage. In the meantime, readers, consider this: if you've enjoyed Chartres, come to Walsingham. If you can't make Chartres, come to Walsingham. If you think you're not up to Chartres, come to Walsingham. It's not an alternative to Chartres, it's an introduction to it and a continuation of it.